Kimmel Harding Nelson (KHN) Center for Arts supports established and emerging writers, visual artists, and composers by providing working and living environments that allow uninterrupted time for work, reflection, and creative growth. UNANIMOUS designed and developed a site that allowed for showcasing artist residencies, providing easily accessible information, and applications for future residents. The primary challenge of KHN’s website was developing a site that showcased all the features KHN has to offer in an aesthetically pleasing and easy to navigate design. Since it provides a wide variety of education, events, and much more, KHN needed a website that properly blends design and development so visitors could easily find the information they were looking for. Having a site that was user-friendly for potential future residents was the driving factor when designing the site. 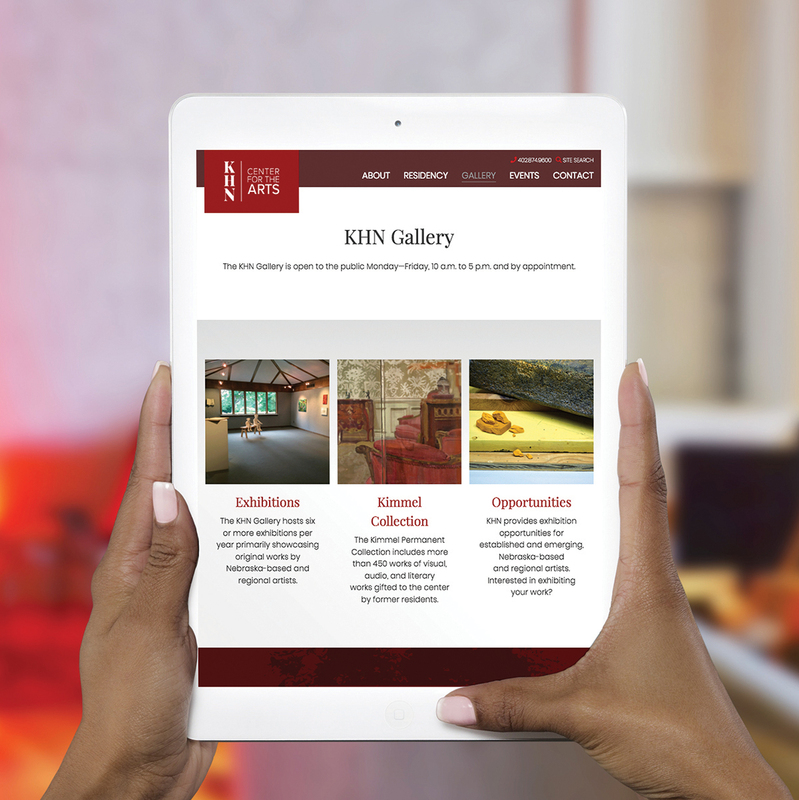 The site shows visitors what KHN has to offer and the unique benefits it provides to residents such as living accommodations, studios, gallery, and the Kimmel Permanent Collection. A rotating section of resident testimonials highlights their great experiences, and why others should consider having their residency there. Details on how to apply for a residency and a seamless process to fill out and submit an application was created. 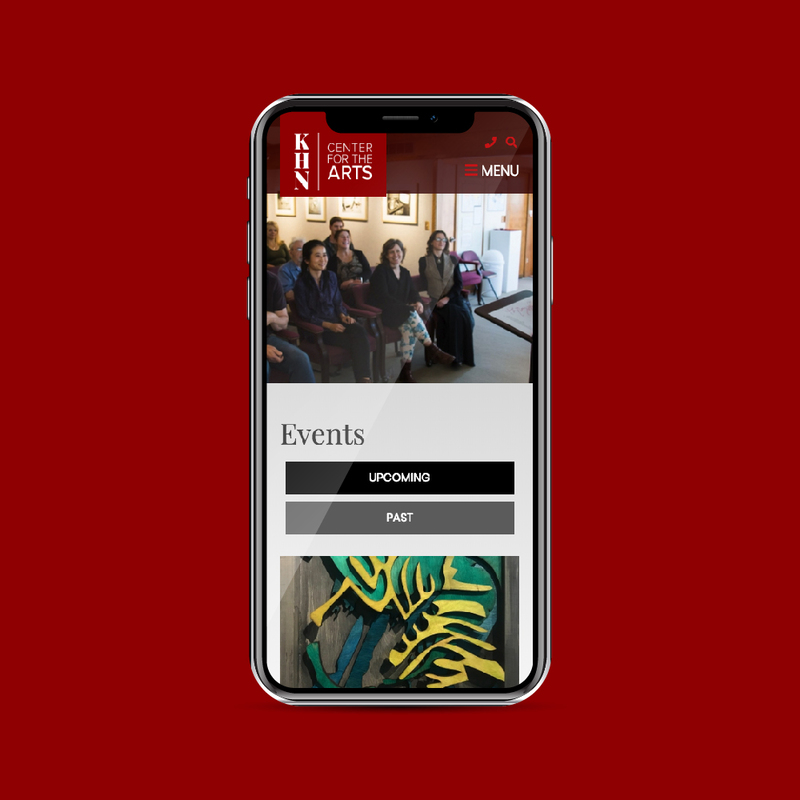 Other features include exhibition listings, photos of the Kimmel Permanent Collection, and opportunities for those wanting to get involved. People profiles (such as current, past, and future artist residents) and an event page were also developed. The site was made on the Drupal platform, creating an intuitive and robust CMS system for the KHN team to easily update and manage.